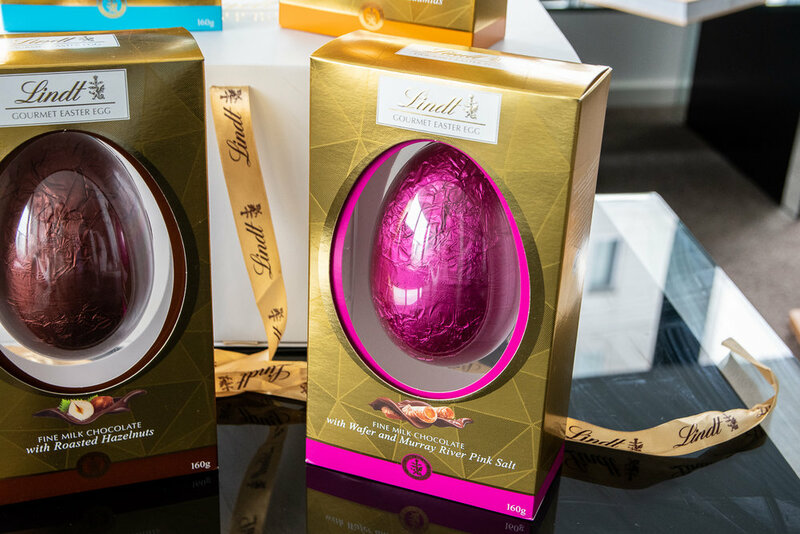 Crafted by the Lindt Master Chocolatiers, Lindt Gourmet Easter Eggs (RRP $15.00, 160g)are available in all major retailers now in four mouth-watering flavours; Milk Chocolate with Wafer and Murray River Pink Salt, Dark Chocolate with Caramel and a touch of Pink Salt, Milk Chocolate with Honey Roasted Macadamias and Milk Chocolate with Roasted Hazelnuts. We loved tasting our way through this scrumptious range. The recipes use high-quality ingredients including Murray River salt and Australian honey roasted macadamias. Crafted from the finest premium chocolate, Lindt’s Gourmet Easter Eggs are the perfect way to give loved ones the very best indulgence this Easter. YUM!